1080p output packed with features, lifetime training, and an industry-leading 5 year warranty! High speed 30 frames per second capturing eliminates motion blur. Auto-focus and auto-tune buttons adjust to best clarity, brightness, and color in seconds. One-touch synchronous audio/video recording with built-in microphone for users to easily record their presentations. 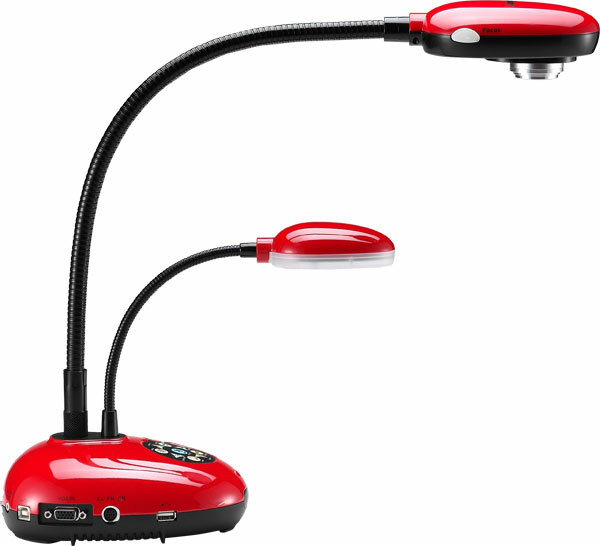 Flexible gooseneck easily maneuvers into the perfect spot for presenting any subject. One-touch controls on base to zoom, capture video, freeze images, switch input sources, auto-tune, and more. Input Passthrough allows you to switch between your laptop’s presentation and your document camera at the press of a button. This eliminates the need to switch plugs between devices in the middle of a presentation. 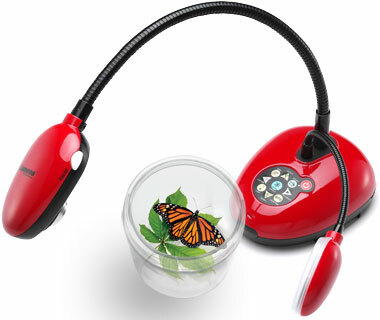 Present to your classroom without having to turn around to check what you’re projecting! 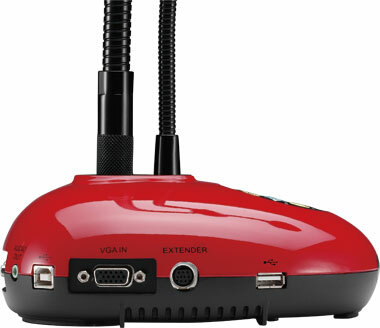 Watch your document camera’s feed on your laptop (via USB) while simultaneously projecting via VGA or HDMI. SD card slot supports SDHC & SDXC to expand up to 64GB of memory for storing recordings and snapshots. Built-in power supply eliminates pesky power bricks for simple cord management. 5 year unlimited warranty covers parts, labor, and includes an advanced replacement unit program for zero downtime while your unit is being repaired.